Dr Karen Fletcher (Betty Buckley) has sacrificed her own personal life to help those who have too many. 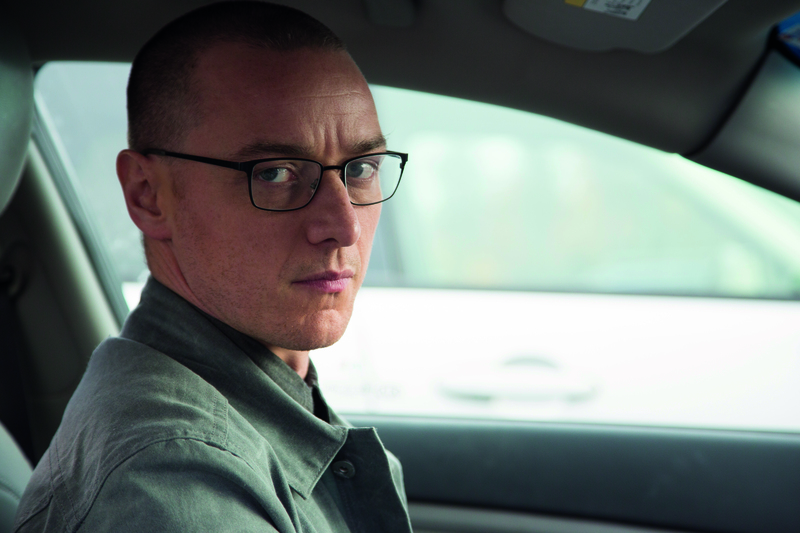 Patients with Dissociative Identity Disorder (erroneously referred to as Multiple Personality) come to her, including sensitive fashionista Barry (James McAvoy), who has many other personalities. What Dr Fletcher doesn’t know is Barry has one monstrous personality within him she has never seen: The Beast. After one of his more aggressive alter egos kidnaps three teenage girls, they have to fight to survive and manipulate him…until The Beast appears. Why do M. Night Shyamalan movies stink? I’m not the first reviewer to ask this but, considering the awful pong around every new film of his over the past few years, I have largely avoided watching them and writing about them. Perhaps I didn’t want to face the possibility that this ingenious writer/director of the most shocking of surprise-ending films, the man who impressed with The Sixth Sense (1999 and nominated for six Oscars, with two for Shyamalan) and Unbreakable (2000), could ever be off form. But from the indulgent Lady In the Water (2006) to the universally panned The Last Airbender (2010), it seemed the man who did no wrong couldn’t produce anything that was half decent. He showed a glimmer of a return to his old form with the kooky Grandma/Grandpa horror flick The Visit (2015). 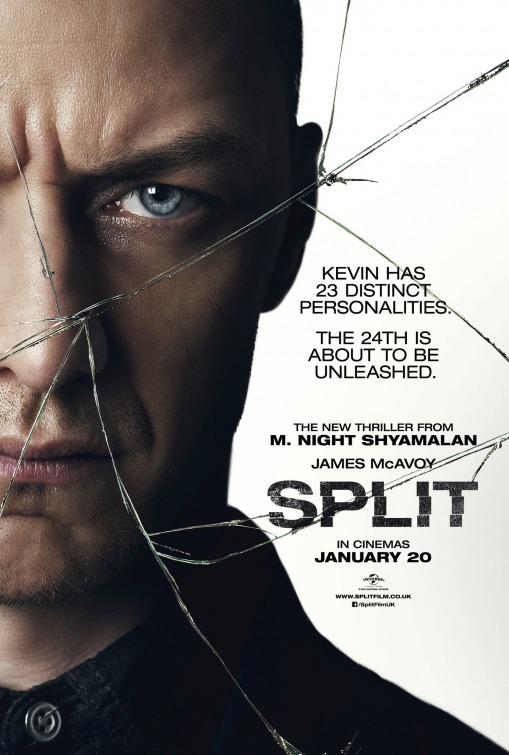 So with that recommendation from my reviewer Claire Durrant, I gave his latest offering Split a go. Claire, I shall never forgive you. Firstly, to start with the good things. The camerawork here is of the first order. The film’s core character is a man with multiple personalities, so Gioulakis compares the individual to the masses right from the outset with neat, clean framing and grouping. Our establishing shot of the heroine Casey (Taylor-Joy) in a fast food restaurant is of her sat on our own as the birthday party whoop it up behind her. Even in the dank grime of the basement dormitory where the girls are housed, Casey is visually separated. She is not just on another bed, but a metal strut in the wall splits the screen in two, leaving Casey on one side, her peers on the other. You can’t beat a good staircase shot, in still photography or moving images and Shyamalan and Gioulakis set up a couple of crackers. Split, if nothing else, is a good looking film. Betty Buckley, a Tony award winning star of musical theatre, is used to dealing with troubled youth on film (she was the sympathetic gym mistress in Brian de Palma’s Carrie, 1976). Although she has relatively little to do, she gives the best performance: patient, placatory, professional, persevering. As one would expect a kindly shrink to be. Shrink wrapped: James McAvoy seeks help from Betty Buckley in Split. Image courtesy of Lionsgate. McAvoy has given some solid film performances and, with the X-Men prequels, has established himself as a box office name. With any film about people with multiple personalities, or actors playing multiple roles, there is an element of greedy grandstanding and shameless screen-hogging (think Eddie Murphy in Coming to America, 1988 and the Krumps films). McAvoy is more nuanced in his approach, with less abrupt gear changes as he switches between one persona to the other. The trouble with this is that he never comes across as particularly terrifying; all sides to this person are modulated and measured. He/she makes sandwiches for his victims, engages them in polite chit chat, dances to music for them in his bedroom. None of his personalities are vaguely threatening. James McAvoy in Split (2016). Image courtesy of Lionsgate. This is at least completely in keeping with the contrived and clumsy feel of the whole film and this is the problem with Split – it simply is not believable. I admit at this point, I became so bored, frustrated and angry with this film, my attention left the cinema. I chased after it by going to the toilet a couple of times and brought it back with me, but those bladder breaks were a blessed relief in more ways than one. (If I’ve missed something, I would appreciate someone letting me know although t won’t change my star rating). Given that Shyamalan likes to draw his audience in with sleight of hand and breadcrumbs of red herrings for the final, big-shock reveal, I was thinking this horribly amateur approach, with obvious plot and motivation errors, was all a big trick. Perhaps Casey is imagining all of this – is she really ‘the beast’? Is this a manifestation of her own terrifying, powerful imagination? Is the good doctor manipulating this situation to further establish her own research? Does McAvoy even exist? Is this all a dream? When she sees that a stranger has just got in the car, why doesn’t Carly automatically make a run for it? Or make a noise? When the stranger gets in the car, why doesn’t he use his spray that incapacitates his victims straight away? Why don’t the three intelligent, resourceful and physically fit girls overpower their jailor with their spiky high heels rather than rip the ceiling apart with them to escape? Why hasn’t their jailor taken their shoes from them? Three girls interrupted: Anna Taylor-Joy, Jessica Sula, Haley Lu Richardson and James McAvoy in Split (2016). Image courtesy of Lionsgate. To make a story with a mystery theme like this work, the director must suspend disbelief in his audience for long enough. Any one of the options above (and there are others) needs to be explored, even in a cursory way, to make us believe that the fantastical situation could actually be happening. This doesn’t happen in Split. At all times, we are left scratching our heads and wondering why there are such obvious flaws. More than once I thought: “Even Ed Wood could have done better”. According to IMDb, there were three films called Split that were released in 2016. You’d be wise checking anyone of those out and splitting from this one. See the trailer for Split on the official website. 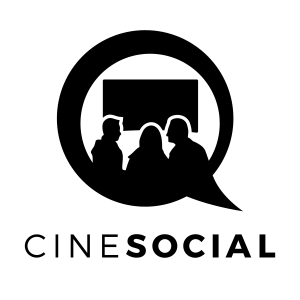 Producers: M. Night Shyamalan, Jason Blum, Marc Bienstock. James McAvoy, Betty Buckley, Haley Lu Richardson, Jessica Sula, Anya Taylor-Joy.